Rodents are among the most common household pests, and a rodent infestation should be addressed immediately. 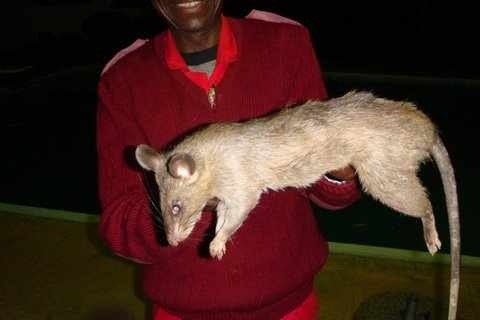 rodents carry a number of diseases, including some serious diseases that are easily transmissible to humans and pets, such as typhoid, typhus.etc. Rodents are also known to be carriers of fleas due to the places they inhabit and areas move in. • Mouse droppings. If you see even a few mouse droppings, you know you have a problem. Even if you never see a mouse, the droppings alone are a sure sign that mice are present. Left unchecked, a mouse problem will only get worse, since mice breed very quickly. • Unexplained holes or tears in cloth, clothing, insulation, fabric and other materials. Mice use these materials to build their nests. If you notice shredded fabric or other materials, especially in dark corners and seldom used areas, chances are good that mice have taken up residence. • Small holes in the bottom of desk drawers, kitchen cabinets and other pieces of furniture. Mice will chew their way in by making small holes, then use their new homes to build nests and make more mice. • Strange scratching noises in the walls, especially at night. Mice are nocturnal by nature, and you will rarely see them out in the daytime. If you have a mouse infestation, you may hear scratches and other strange noises as the animals move around in search of food and bedding materials. If you notice any of these signs around your home or business, it is important to act quickly, before the infestation can take hold. Once one mouse discovers your home, others are sure to follow, and that influx will continue until your home is inundated with these rodents. While many people think of mice mainly as a nuisance, they can be much more than that. Mice can chew the shielding from electrical wires, creating a hidden fire hazard in your home or business. 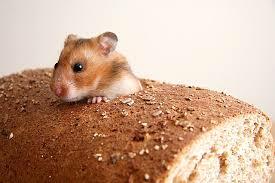 They can also destroy expensive furniture by building nests, and damage clothing by shredding it for bedding material. The longer you ignore the problem, the more troublesome it could be to fix. If you even suspect a problem with mice, it is best to call an experienced exterminator. A pest control professional will be able to determine the true scope of the problem and make sure you have not missed any warning signs. You can try to fight the mice yourself by setting traps and putting out baits, but chances are you will not be able to eradicate the entire colony. For every mouse you see, there could be dozens more just waiting to emerge from their nests and start the infestation all over again. The best way to deal with a mouse infestation is to make your home an unattractive place for those troublesome rodents to stay.